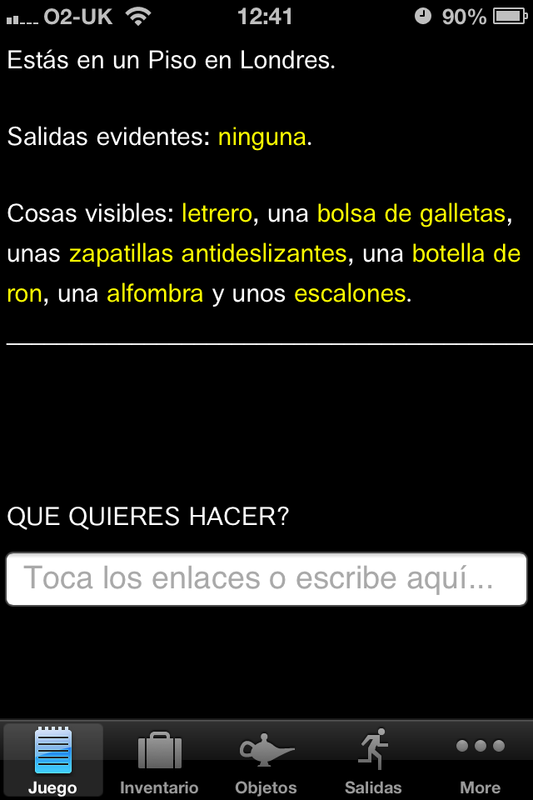 The latest Quest-powered app “Aventura Pirata” is now available from the App Store and Google Play, for smartphones and tablets. Aventura Pirata is a version of Scott Adams’s 1978 game Pirate Adventure, translated into Spanish and adapted for the Quest platform by Mauricio Díaz García. The game supports the usual hyperlinks and tabs to reduce typing. 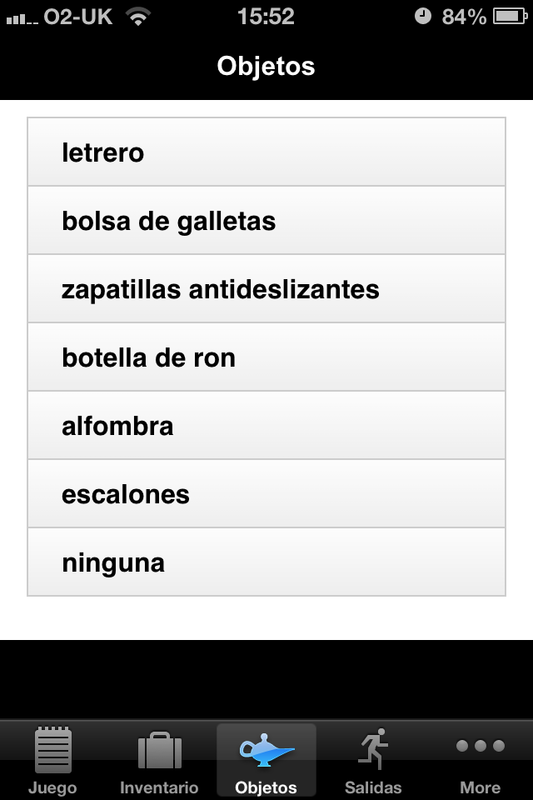 Selecting an object produces a list of verbs, and exits are visible on the Exits tab (Salidas). I think this game would be a useful and fun aid for anybody teaching or learning Spanish – it would be great to hear from anybody using it in this way. In other news, Escape From Byron Bay is now available for Android as well as iOS. If you’re interested in writing your own text adventure app, please take a look at the Apps page on the site. Any Quest game can be converted into an app, and it’s great to start making a range of different titles available. More are coming soon, but more are needed, so please get in touch! Apple have recently introduced a new appstore.com domain, which makes it very easy to find all the Quest text adventure apps for iOS: appstore.com/textadventures. The equivalent page for Android is here. This entry was posted in Quest and tagged android, iphone, mobile on February 6, 2013 by textadventurescouk.